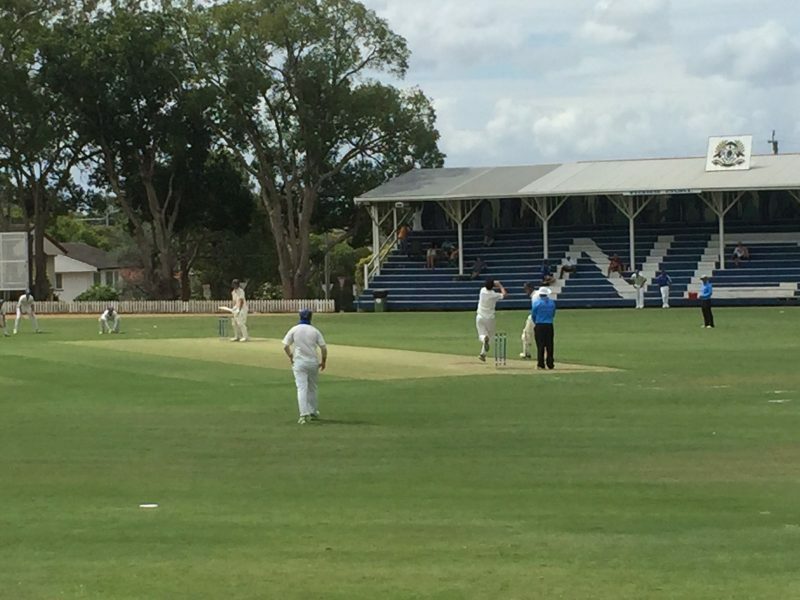 Round 1 of the GPS cricket saw TSS play a host of games played vs Nudgee College. TSS won a host of games across the grades with 2nd XI, 11A, 10A, 10C, 9A, 9B, 9C, 8A, 8B, 8C & 7E winning well as well as a 6B tie! In particular the 2nd XI with Ben Owen 51, Matt Dalton 40 and Harry Blok 3/0 off 4 overs had an emphatic win. 11A on the back of Austin Billing with 6/10 and Stirling Smith 4/9, 10A with Louis Chabert with 88, 9A Justin Faber/ Couper Veivers half centuries and Lachie Mair with 68no were dominant performances. It was a real highlight to see the year 5 and 7 teams featuring many new students and Rogers House boys take the field…to see the new Yr7E’s get a first up win was great! First XI TSS played Nudgee away at Ross oval in a much anticipated match in humid overcast conditions. TSS won the toss and elected to bowl, with instant success off the 6th ball of the innings picking up a run out from Hugo Burdon. From there TSS kept it tight to have Nudgee 5 for 123 in the 40th over, but with some late big hitting they changed the match to score 6 for 227. In reply TSS lost Jack Hocart in the first over to a great delivery. From there only Ky Newitt with a top score of 18no got going and we were not in the game losing wickets at regular intervals. TSS ground out to be all out for 111. Next Saturday TSS look to bounce back to take in Churchie on the Village Green. 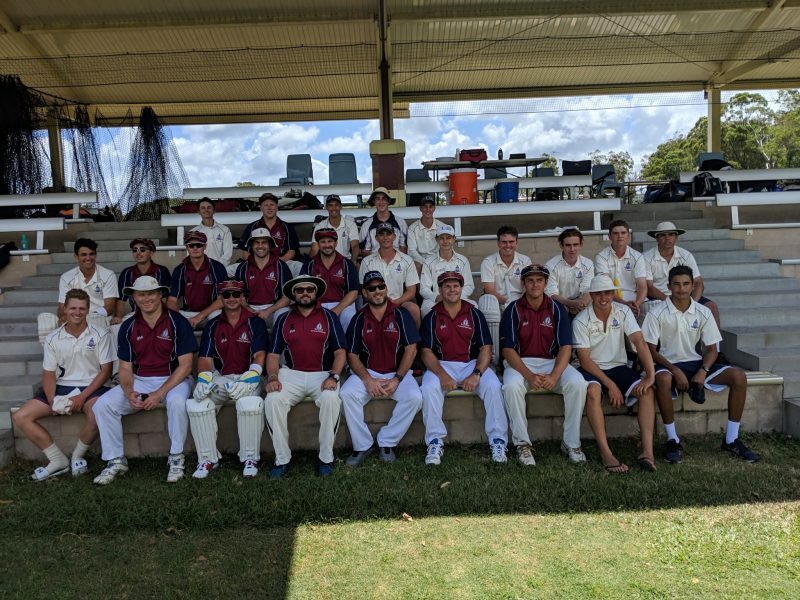 On Sunday Old Boy’s Captain Simon Anderson lead a formidable Old Boys line up boasting a number of current and past Premier Grade Cricketers to test the 2019 1st XI for the “Bill King” Trophy. As per tradition TSS 1st XI bowled first. Playing 30 over each a shorter version than usual, this has provided some brilliant hitting from Bo Veivers and Josh Kann. The Old Boys made a very respectable total of 190. 3 wickets to Peter Lynch, 2 wickets to Jack Sinfield and Ky Newitt were the best of the TSS 1st XI bowlers. In reply TSS 1st XI batted with composure and aggression to reach the total with 16 balls to spare. They were led by their captain Hugo Burdon who made a classy 98no and was supported by Cody Durante 36 and some late massive hitting by Matt Manley’s with 25no. The game was played in great spirits and enjoyed by Old Boys and the current 1st XI squad. The TSS playing fields were abuzz on Sunday with the Super 8’s carnival running concurrently. 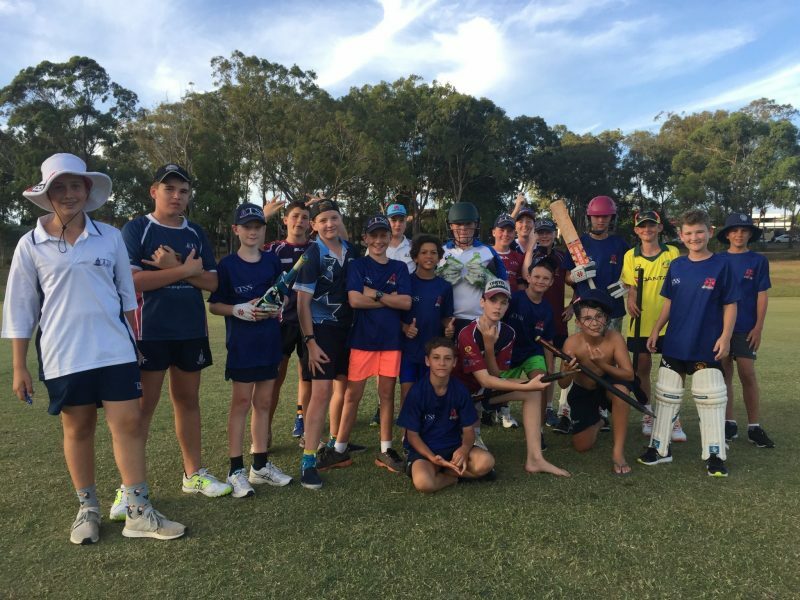 The TSS Cricket family came together for a ‘big bash’. It was a terrific response with Players, Parents and Old Boys taking part such as “Mother Cricket”, “Coaches Team”, “Rogers 1&2”, “Silly Sloggers”, etc. The Teams were impressive through their fixture rounds and the boys played hard. The competition was split in Div 1 & Div 2 and the day was enjoyed by all. “Masulu” came from nowhere to sneak into the final then completed a threepeat of wins by passing the “Six Offenders” score on the last ball of the final. In the Div 2 Final the battle of the boarding teams saw “Boarders 8” account for “Rogers 2” in an energetic display. Result summaries of games played vs NC are as follows. Best batting – L Mair 68n.o. Best Batting – O. Boyd not out 16. SOCS: http://www.tsssportqld.com/ is the hub for all TSS Cricket Information.